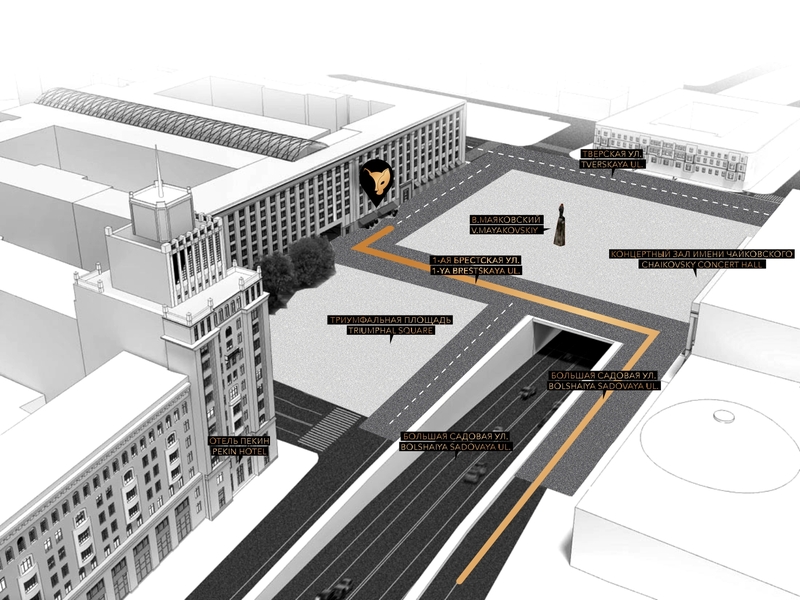 SPY MOSCOW is located on Triumfalnaya Square in front of the Concert Hall. Tchaikovsky and the monument to Mayakovsky. While driving along Bolshaya Sadovaya street on the left side, the hotel Beijing will stand. Approaching Triumfalnaya Square, keep to the right side of the road and drive to the right. Then turn left onto 1st Brestskaya Street. Go ahead to the first building on the right side of which you will see the main entrance SPY. Turn right. Valet Parking.